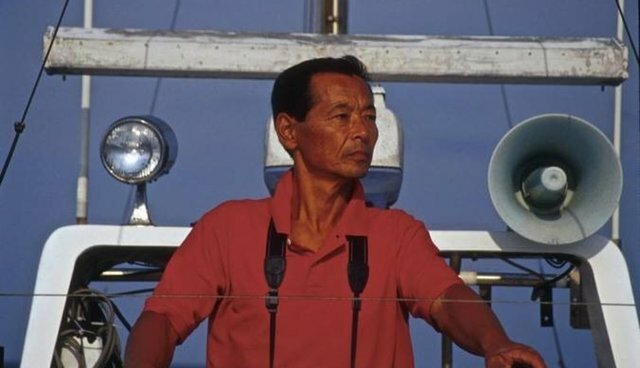 Izumi Ishii used to spend his days rounding up dolphins to kill them for their meat or to sell them into captivity in the brutal drive hunts that still occur every year in Japan. Now, Ishii spends his time doing just the opposite. He's gone from dolphin slaughter to dolphin advocate, and now runs his own whale and dolphin watching company out of Shizuoka, on the eastern coast of Japan. He's trying to make a change in a country that is still entrenched in the drive dolphin fisheries that fill the tanks of marine parks all over the world. But Ishii's not quite through the transition just yet -- the captain is facing the loss of his boat because he can't make the loan payment of $12,000, and he has until the end of the month to raise the money. The Dodo spoke with Ishii through a translator to find out what motivated his radical change, how he can save his boat and what the future looks like for dolphins and whales in Japan. What prompted your change of heart from fisherman to whale watching captain? I was brought up with dolphin meat, I started killing dolphins when I was small to assist my family. But I didn't enjoy it, I always felt sorry for them. Even when I became a fully grown dolphin hunter my heart was filled with guilt. In 1996, I realised I was hunting dolphins and whales well in excess of the quota. I was never told the number of catch was strictly limited. So I proposed to a local fishery association and my fellow hunters that we must not repeat the same error, we must keep to the quota. To my regret, they all turned against me. It was awful. They told me to leave the town, tried to ban my boat from the port, tried to eliminate me from the union. But I didn't give up. I stopped speaking to other fishermen for 3 years. I did the right thing, but the fishery association and prefectural department of fishery, as well as the ministry of fishery all tried to cover up the faults, they made me a scapegoat. That is when I decided to get out of it. I could no longer hold my remorse against the killing. Why do you think whale watching is so important for Japan? Progression with time. Although the hunting is still continuing, I strongly believe that the dolphin watching is the future alternative to the killing. Is it difficult to convince people that whale watching is better than fishing? It is difficult. Because, it is hard to change the mindset of the fishermen that they are no longer harvesting the food resources. Since I turned to watching I haven't been able to make my family happy. But I am determined to make my watching business a success and bring more fishermen in. I also want to make amends to dolphins. By continuing my watching I want to see the dolphin hunting stopped. My immediate problem is my loan repayment. I consider it a punishment of killing dolphins and whales in the past. I believe my anti-whaling campaign is to quietly convince the passengers that it is wrong to kill them. That's why I want more people to come and visit me. But 12 years of running the watching business has created debts. If I can come over the present hardship, I am convinced I can run more campaign by visiting different parts of the world. They've been killed for so long. I am certain they've been waiting for someone like me to emerge. I believe I am the representative of all dolphins and whales who's been slaughtered in the past. They are cheering me to continue the fight. Therefore I must overcome my hardship. Ishii now has an Indiegogo page where you can donate to save his boat. Japan's annual dolphin drive hunt in Taiji, Japan, has sparked international outrage, even four years after the Oscar-winning "The Cove" first exposed the issue. Please join us in demanding that Prime Minister Shinzo Abe take the appropriate steps to ban this practice immediately.